When most gamers build a computer, they mostly concentrate on all the hardware needed to run their game at the highest graphics settings. While having a great looking game is definitely a positive, it’s all for nothing if you can’t control your game. Whats the point in building a beast of a gaming PC or splashing out on the best gaming laptop if the add-ons you use for your in-game performance are second rate? Slacking on a wireless gaming mouse can cause a number of headaches, including dropped connections, inaccuracy and, in a worst-case scenario, a mouse that doesn’t work at all. Whether you’re looking to be a professional PC gamer or just want hardware that won’t cut out in a crucial gaming moment, you’ll want to check out any of these 10 wireless gaming mice. The EagleTec MG010 2.4GHz Wireless Gaming Mouse is one of the top-rated wireless gaming mice available on the market today. Featuring a Pixart gaming sensor, this mouse features unparalleled accuracy, meaning you’ll be pulling off amazing headshots in “Call of Duty: Black Ops III” that you never thought were possible. This seven-button mouse lets you change your DPI settings on the fly; you can set a low DPI for those times when you’re wielding a sniper rifle or increase the DPI for when you’re going in guns blazing with an assault rifle. This mouse is available in a variety of different colors, letting you pick the one that best matches the rest of your PC’s colors. 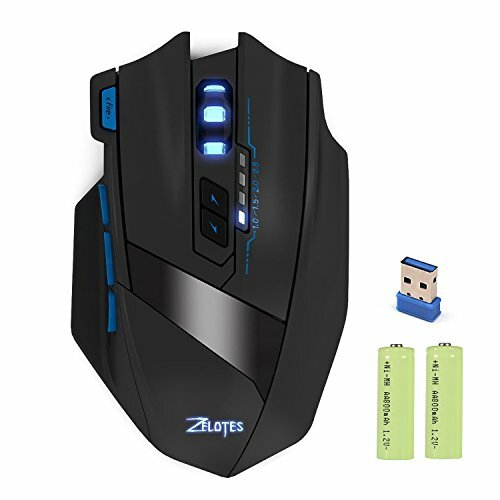 The DLAND Zelotes Professional Wireless Gaming Mouse is plug and play compatible, meaning that once you plug it into your computer, you’re ready to start gaming–no drivers or installation required. 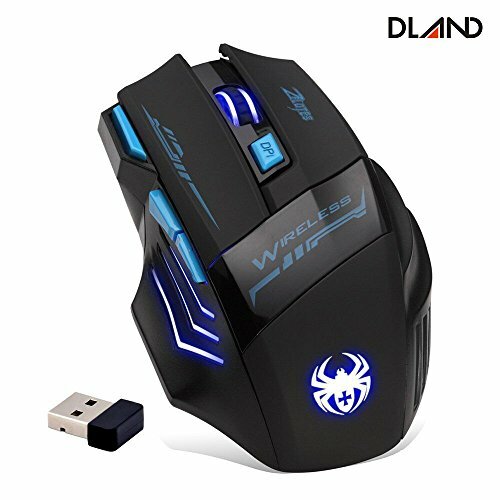 Whether you’re gaming on a computer desk or a kitchen counter, the optical sensor in this wireless gaming mouse will adapt to any surface. While this mouse only comes in one color, the LED on the mouse will constantly change colors. 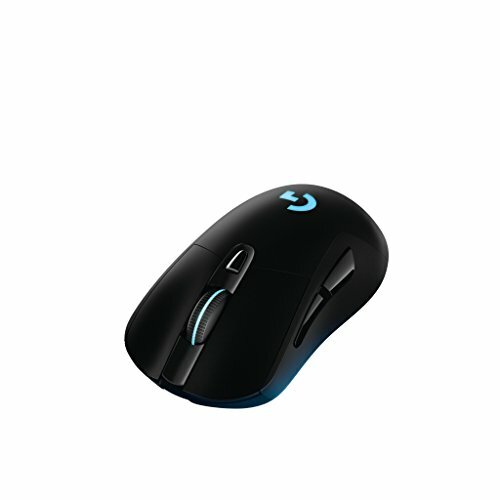 The Logitech G900 Chaos Spectrum gaming mouse is a highly rated, ambidextrous gaming mouse with incredible functionality. 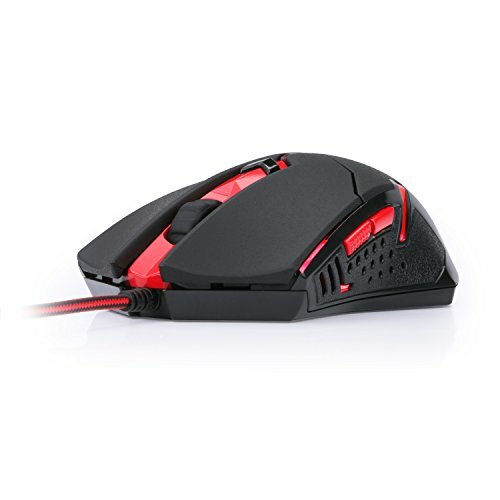 The gaming mouse will work with either a wired or wireless connection, and has astounding response times. With a 1ms report time it is easy to see why the Logitech G900 is the personal favourite amongst many professional gamers, where delay can be the difference between victory and defeat. The rechargeable battery gives you 32 hours of gaming time and seamlessly switches to wired mode when required. DPI settings can adjust on the fly between 200 and 12000 DPI which is thanks to the incredible PMW3366 optical sensor. Customization is abundant in the Logitech G900 Chaos Spectrum gaming mouse, with 11 programmable button and a mechanical pivot button design which really comes to the front in first person shooters. The RGB lighting is also customizable with over 16.8 million colors in the pallet. You would be hard pushed to find a better wireless gaming mouse than this, but that performance does come with a price and this is one of the most expensive on the list. The E-Blue Mazer II 2500 DPI Wireless Gaming Mouse uses a proprietary “air wing” concept to give this mouse an ergonomic feel. In other words, even after a marathon gaming session, you won’t be suffering from hand cramps! This mouse features a high frame/second rate and anti-delay polling rate, meaning this mouse will let you keep a target in your crosshairs in “Counter-Strike: Global Offensive” no matter what. Be it for a PC RPG, an MMO or a MOBA, having a good trusty mouse by your side is a big positive, and the Logitech G403 Wireless Gaming Mouse fits that mold perfectly. Perfect for people with a claw grip, this mouse comes in two variations, one being wired, and the other being wireless. However, both the variation look and feel the same and perform just like the other. One of the main reasons why people go in for this mouse is the response time that the mouse has. It is almost eight times faster than that of a standard mouse, making it great for high-level play and precise movements. The mouse has two side buttons which can be bound to any key or skill and has one more on the top to adjust the DPI. In addition, the scroll button can also function as a mouse button, making that a total of five bindable mouse buttons. The optical sensor on the mouse uses some of the best in gaming technology, giving it remarkable and accurate performance all the time. The mouse by itself is extremely comfortable use and has a plastic body with rubber grips on the side for added comfort. The total weight of the mouse is just under ten grams, making it an extremely lightweight option for those who like to move freely. The Redragon M650 2.4GHz Wireless Gaming Mouse comes in a variety of shapes and styles, letting you choose the design that works best for your hands and your eyes. Whether you’re running the latest version of Windows or you’re a few releases behind, don’t sweat: This mouse works on everything from Windows XP to Windows 10. With its Teflon feet pads and contoured body, this mouse can work on a variety of surfaces and will remain comfortable for hours to come. 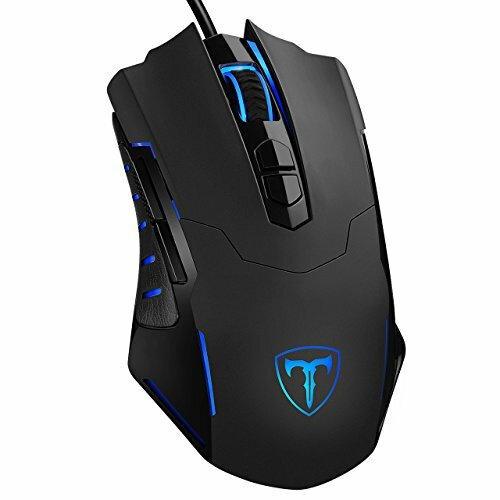 Thanks to its nano USB receiver, this mouse won’t lose its signal in the middle of an intense match of “Smite,” much to the relief of both you and your teammates. The Logitech G602 Wireless Gaming Mouse boasts something that few gaming mice on this list can offer: a battery life up 250 hours. In gamer terms, this means that you can finish “Fallout 4” at least six times before needing to change the batteries! This mouse features an impressive 11 programmable buttons that Logitech claims will last for at least 20 million clicks before needing to be replaced. Using its proprietary Delta Zero technology, Logitech claims this mouse offers pinpoint accuracy that you won’t find with the competition. Couple this with technology that promises a lag- and disruption-free experience that is free of disconnects, and you can see why many gamers claim that the Logitech G602 Wireless Gaming Mouse is the best mouse money can buy. 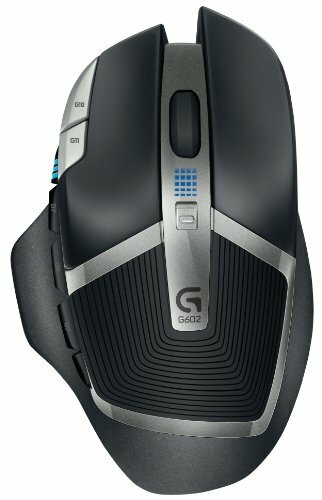 If you’re looking for an alternative Logitech gaming mouse, try the Logitech G700s Rechargeable Gaming Mouse. 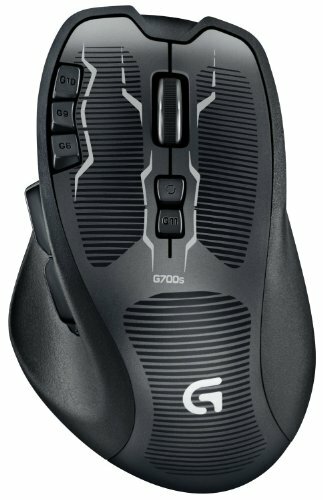 This mouse can act as either a wired or a wireless gaming mouse, featuring 13 programmable buttons: Two more buttons than the G602. In addition, this wireless gaming mouse lets you store profiles, meaning you can program one set of buttons for “League of Legends” and another for “Counter-Strike: Global Offensive.” Logitech claims this mouse executes commands up to eight times faster than the competition, which is perfect for MOBA players, as sometimes the difference between a win and a loss can come down to the press of a button. If you’re looking for a cheaper alternative to the Logitech gaming mouse that doesn’t skimp on quality, check out the KingTop Rechargeable Wireless Gaming Mouse. This mouse features four different DPI settings that you can change on the fly, ranging from 1000 DPI to the blistering faster 2500 DPI. The KingTop Rechargeable Wireless Gaming Mouse is perfect for palm rather than claw gripping, ergonomically designed for comfort even over long gaming sessions. The nine mouse buttons are pre-programmed and positioned strategically for a great gaming experience. The Uhuru Wireless Gaming Mouse is another great gaming mouse for those on a budget that still want outstanding performance. 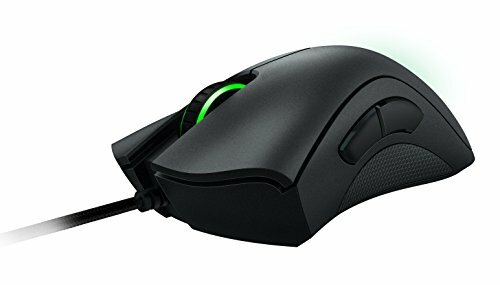 If you are playing a game that features a lot of mouse clicks such as “Diablo 3,” this mouse can save the sanity of everyone around you! This mouse is easy to clean and take care of, meaning that with proper maintenance, this mouse can last for years. With 5 adjustable DPI levels up to 7200 DPI and 5 programmable buttons, this gaming mouse can stand toe-to-toe with others in its field, all at a cost that’s easy on your wallet. The LED lighting cycles between 7 different colors, one little drawback here is you can’t select just the one color to stick to, it will cycle between the colors periodically. That being said, the LED lighting is great for ambience and designed to look good whatever the environment. Regardless of which wireless gaming mouse you choose from this list, you’ll find a high-quality product that will stand the test of time. With any of these wireless gaming mice at your disposal, you’re ready to game like a professional. If you want to compare the best wireless gaming mouse models against their wired gaming mouse counterparts, we have added a few below. 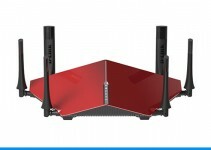 Despite having a wired connection, you can get exceptional performance from a wired gaming mouse and unless you absolutely must have wireless, you may wish to consider these in your wishlist too. 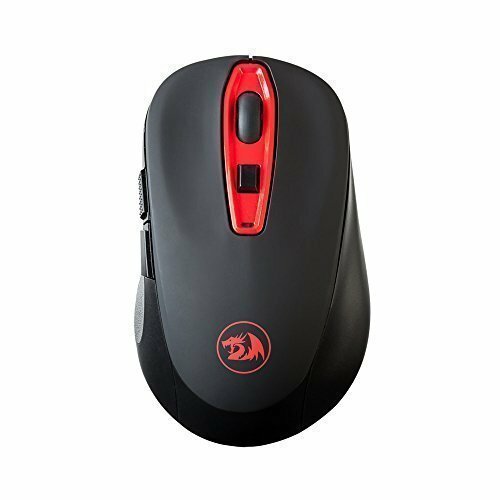 The Redragon M601 Gaming Mouse is supposed to be one of the best budget options for high-level MOBA play. The Redragon M601 has its highest DPI set to an incredibly 3200 and has several adjustable modes for comfortable playing. The mouse does have a red LED light emitting a light glow, but red is the only color. When it comes to the buttons, the Redragon M601 has five programmable ones, with two being on the side and the two standard ones at the top. The scroll dial also functions as a programmable button, and the mouse has an additional programmable button which is used to adjust the DPI but can be programed to something else. The feel that the mouse has is also something that draws in a lot of gamers. The mouse has a smooth Teflon surface and a curved body which fits perfectly in the palm of your hand. The mouse can be used by players who use the claw grip since that is what the mouse has been designed for. The mouse can be used with any Windows or Linux based operating systems but has no place in the iOs category. The Picket Gaming Mouse is another budget option for gamers, this time, being one particularly for those who like to play with a palm grip. The structure of the mouse is much longer than others, making it ideal for those who follow this playstyle. 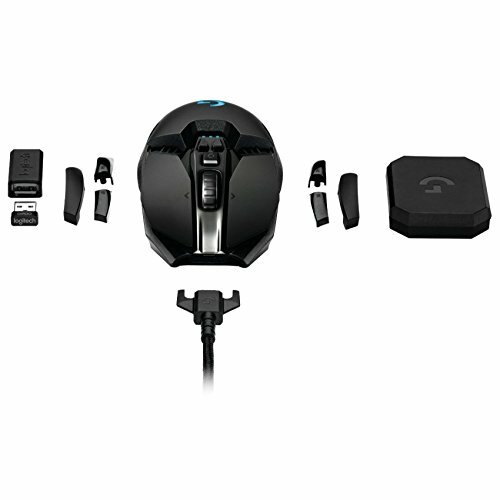 The mouse comes with a total of seven programmable macro buttons, suitable for MMO and RPGs. The DPI sensor of the mouse goes extremely high but might be a little bit of an overkill. Most professional players play on much lower DPI settings than the highest one on this mouse. The total DPI of the mouse goes up to 7200 and can be changed using the buttons below the scroll button. The mouse has an LED light which has a breathing pattern that it follows. The LED light is entirely customizable to fit the color scheme that you want. The body of the mouse has an incredibly comfortable finish and feels extremely comfortable to use. The mouse is also made using high-quality materials, and users have said that the mouse has lasted them an incredibly extended period with extremely frequent use. The mouse is compatible with all Windows software and all hardware models, excluding those that don’t have USB ports, and Macbooks of course. For those who want a mouse that goes up to an incredible DPI and has multiple customizable modules, the Logitech G502 Proteus Spectrum is most definitely the mouse for you. Used by some of the biggest gaming pros in the entire world, this is the mouse for those who want to take their gaming into competitive play. The Logitech G502 Proteus Spectrum is currently one of the most advanced optical spectrum mouse options that are now on the market which is incredibly sensitive to give you top-notch precision and quick movements that translate well onto the screen. The mouse weighs a decent 3.6 grams, making it lightweight and easy to maneuver around with. The mouse is diverse and is usable by both people who have a claw grip as well as a palm grip. The body of the mouse has an incredible grip which makes holding the mouse very comfortable. The shape of the mouse is not something that is commonly used by other brands on the market but is meant to provide one of the most superior grips possible. The mouse has a full RGB customizable LED light on the inside that glows the way you want it to. All the options can be easily customized using the efficient software that comes along with it. Razer is known to have some of the most effective tools for gamers, and this mouse is no exception. The Razer DeathAdder Chroma is one of the most popular gaming mouse options on the market today. 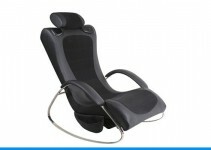 It is considered to be one of the best in its class. For those who want a smooth finish mouse that looks and feels good, the Razer DeathAdder Chroma is the mouse to go in for. The mouse is sleek and designed for a snug fit under your palm, thus granting you one of the most comfortable gaming experiences that you can find. The mouse has an incredibly optical sensor that is fast and responsive, making for a quick and efficient playing experience. The highest DPI option on the mouse is 10,000 and can be adjusted using the middle mouse buttons. The Razer DeathAdder Chroma is also great for working on extremely flat surfaces, and can even work on surfaces made of glass, without using a mouse pad. The Razer DeathAdder Chroma comes with a full RGB customizable LED with 16.8 million different colors and combinations to choose from. The scroll and the wheel can also be customized to be two different colors, instead of just one. Most MMOs have a lot of hotkeys to work with, and also of precise movements have to be made. Having a mouse with twelve side mouse buttons can make an MMO players life easier than it has ever been. For this section of gamers, the UtechSmart Venus Gaming Mouse is the one that you need. In total, the mouse has a staggering seventeen mouse buttons. The twelve buttons on the side in the form of a dial pad, making it extremely easy and convenient to use. 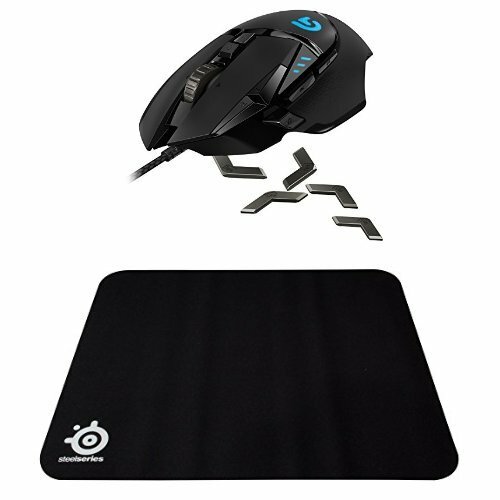 The mouse has a high precision sensor which is suitable for higher level play and that chaotic MMO life. The click sensors on this mouse are also extremely sensitive and will last for a good number of clicks before it starts to wear out. The mouse has customizable DPI options that go up to 164000 for the ultimate precision that anyone could want in a mouse. This makes for extremely precise and apt clicks, which won’t ever fail you or misclick. The mouse has multiple led sensors with each of the buttons being heavily customizable. With this mouse, you can have each of the mouse buttons having a different color so that you can identify them easily and without getting them mixed up. 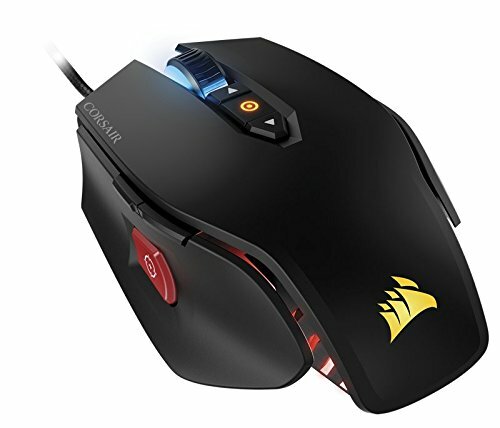 Corsair has and always will be a brand that stands as one of the best for gaming utilities and accessories, and this mouse holds true to that. The CORSAIR M65 Pro is a good mouse for the functionality that it provides. 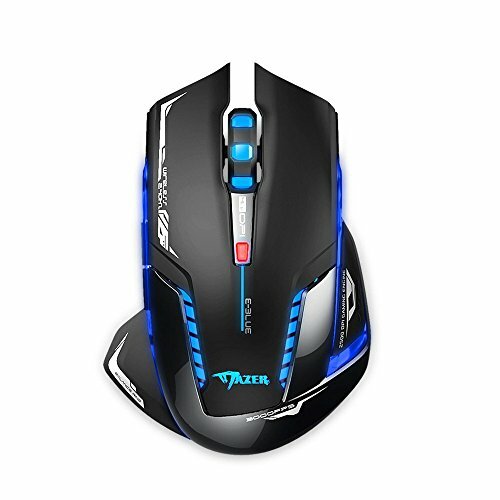 It has a 12,000 DPI and extremely responsive sensors, this mouse is good for precision gaming and definitive clicks. 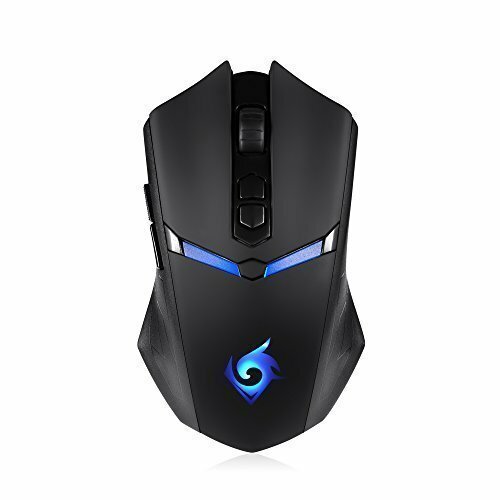 This is a mouse mainly for MOBA players and action RPG players. The Corsair mouse is one of the most lightweight on the market and is made of aircraft grade material. This means that it is not only light but also highly durable. The mouse has an optimized spinner which is bound to the DPI changer, making it easier to change your DPI settings on the go. It also has a unique ‘sniper’ button on the side of the mouse, making it easier to snipe those targets effortlessly and with precision. The mouse has eight fully programmable buttons for a highly optimized and customizable gaming experience. Teh mouse buttons have a broad lifespan and can withstand a minimum of 20 million clicks.